Hiring? Toptal handpicks top ABAP developers to suit your needs. Ahmed is a back-end (API) developer who loves building useful and fun tools. He also has experience as a web developer. specialized programming language constructs or computer hardware mechanisms. So, exceptions require special treatment, and an unhandled exception may cause unexpected behavior. The results are often spectacular. In 1996, the famous Ariane 5 rocket launch failure was attributed to an unhandled overflow exception. History’s Worst Software Bugs contains some other bugs that could be attributed to unhandled or miss-handled exceptions. Over time, these errors, and countless others (that were, perhaps, not as dramatic, but still catastrophic for those involved) contributed to the impression that exceptions are bad. But exceptions are a fundamental element of modern programming; they exist to make our software better. Rather than fearing exceptions, we should embrace them and learn how to benefit from them. In this article, we will discuss how to manage exceptions elegantly, and use them to write clean code that is more maintainable. 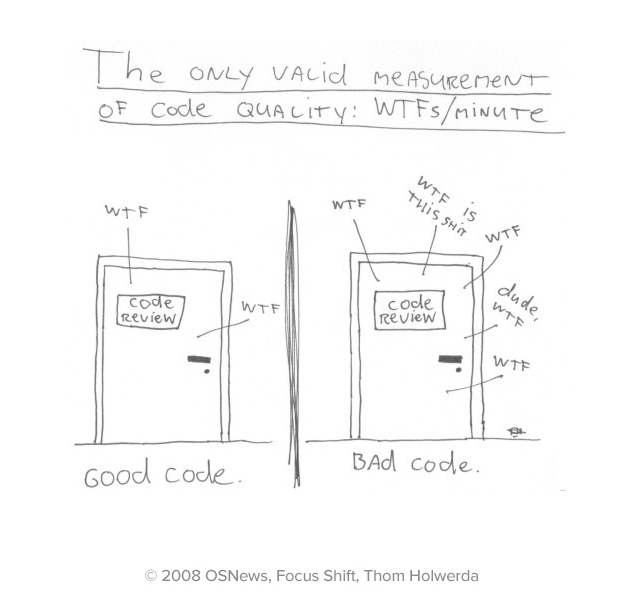 There is nothing wrong with the previous code. But overusing these patterns will cause code smells, and won’t necessarily be beneficial. Likewise, misusing them can actually do a lot of harm to your code base, making it brittle, or obfuscating the cause of errors. 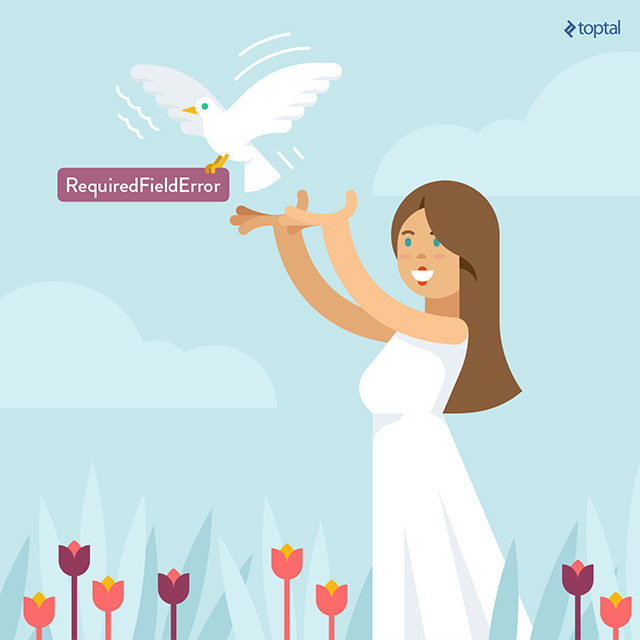 The stigma surrounding exceptions often makes programmers feel at a loss. It’s a fact of life that exceptions can’t be avoided, but we are often taught they must be dealt with swiftly and decisively. As we will see, this is not necessarily true. Rather, we should learn the art of handling exceptions gracefully, making them harmonious with the rest of our code. maintainability: Allows us to easily find and fix new bugs, without the fear of breaking current functionality, introducing further bugs, or having to abandon the code altogether due to increased complexity over time. extensibility: Allows us to easily add to our code base, implementing new or changed requirements without breaking existing functionality. Extensibility provides flexibility, and enables a high level of reusability for our code base. readability: Allows us to easily read the code and discover it’s purpose without spending too much time digging. This is critical for efficiently discovering bugs and untested code. With that said, let’s dive into these practices and see how each of them affects those three measures. Note: We will present examples from Ruby, but all of the constructs demonstrated here have equivalents in the most common OOP languages. Having an extensible, comprehensive exceptions package for our application makes handling these application-specific situations much easier. For example, we can decide which exceptions to handle in a more natural way. This not only boosts the readability of our code, but also increases the maintainability of our applications and libraries (gems). From the maintainability perspective, say, for example, we are implementing a JSON API, and we have defined our own ClientError with several subtypes, to be used when a client sends a bad request. If any one of these is raised, the application should render the JSON representation of the error in its response. It will be easier to fix, or add logic, to a single block that handles ClientErrors rather than looping over each possible client error and implementing the same handler code for each. In terms of extensibility, if we later have to implement another type of client error, we can trust it will already be handled properly here. fail AuthenticationError if token_invalid? || token_expired? As you can see, raising this specific exception didn’t prevent us from being able to handle it on different levels, altering it, re-raising it, and allowing the parent class handler to resolve it. Not all languages support raising exceptions from within an exception handler. In most languages, raising a new exception from within a handler will cause the original exception to be lost forever, so it’s better to re-raise the same exception object (as in the above example) to avoid losing track of the original cause of the error. (Unless you are doing this intentionally). You might have noticed the error in the previous example; return is mistyped. Although modern editors provide some protection against this specific type of syntax error, this example illustrates how rescue Exception does harm to our code. At no point is the actual type of the exception (in this case a NoMethodError) addressed, nor is it ever exposed to the developer, which may cause us to waste a lot of time running in circles. The previous point is a specific case of this rule: We should always be careful not to over-generalize our exception handlers. The reasons are the same; whenever we rescue more exceptions than we should, we end up hiding parts of the application logic from higher levels of the application, not to mention suppressing the developer’s ability to handle the exception his or herself. This severely affects the extensibility and maintainability of the code. If we do attempt to handle different exception subtypes in the same handler, we introduce fat code blocks that have too many responsibilities. For example, if we are building a library that consumes a remote API, handling a MethodNotAllowedError (HTTP 405), is usually different from handling an UnauthorizedError (HTTP 401), even though they are both ResponseErrors. As we will see, often there exists a different part of the application that would be better suited to handle specific exceptions in a more DRY way. Here we defined the contract for this method to only get us the info about the stock. It handles endpoint-specific errors, such as an incomplete or malformed JSON response. It doesn’t handle the case when authentication fails or expires, or if the stock doesn’t exist. These are someone else’s responsibility, and are explicitly passed up the call stack where there should be a better place to handle these errors in a DRY way. This is the complement to the last point. An exception can be handled at any point in the call stack, and any point in the class hierarchy, so knowing exactly where to handle it can be mystifying. To solve this conundrum, many developers opt to handle any exception as soon as it arises, but investing time in thinking this through will usually result in finding a more appropriate place to handle specific exceptions. This way, we can ensure that all of the ActiveRecord::RecordInvalid errors are properly and DRY-ly handled in one place, on the base ApplicationController level. This gives us the freedom to fiddle with them if we want to handle specific cases at the lower level, or simply let them propagate gracefully. When developing a gem or a library, many developers will try to encapsulate the functionality and not allow any exception to propagate out of the library. 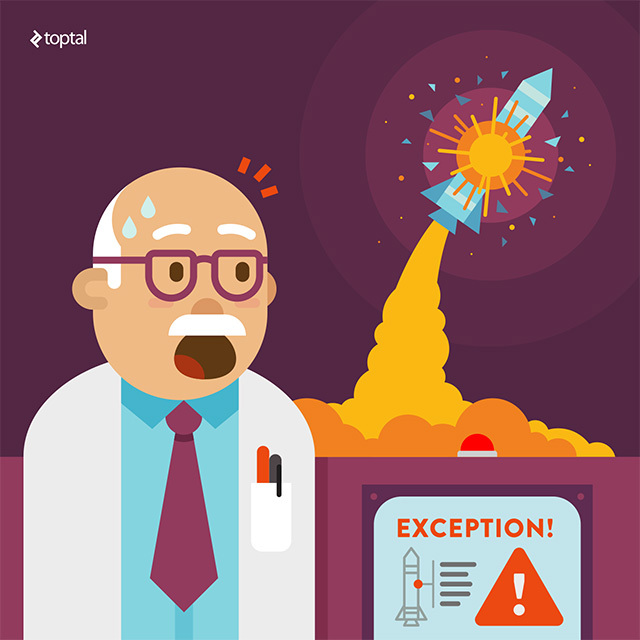 But sometimes, it’s not obvious how to handle an exception until the specific application is implemented. Let’s take ActiveRecord as an example of the ideal solution. The library provides developers with two approaches for completeness. The save method handles exceptions without propagating them, simply returning false, while save! raises an exception when it fails. This gives developers the option of handling specific error cases differently, or simply handling any failure in a general way. But what if you don’t have the time or resources to provide such a complete implementation? In that case, if there is any uncertainty, it is best to expose the exception, and release it into the wild. Here’s why: We are working with moving requirements almost all the time, and making the decision that an exception will always be handled in a specific way might actually harm our implementation, damaging extensibility and maintainability, and potentially adding huge technical debt, especially when developing libraries. Take the earlier example of a stock API consumer fetching stock prices. We chose to handle the incomplete and malformed response on the spot, and we chose to retry the same request again until we got a valid response. But later, the requirements might change, such that we must fall back to saved historical stock data, instead of retrying the request. At this point, we will be forced to change the library itself, updating how this exception is handled, because the dependent projects won’t handle this exception. (How could they? It was never exposed to them before.) We will also have to inform the owners of projects that rely on our library. This might become a nightmare if there are many such projects, since they are likely to have been built on the assumption that this error will be handled in a specific way. Now, we can see where we are heading with dependencies management. The outlook is not good. This situation happens quite often, and more often than not, it degrades the library’s usefulness, extensibility, and flexibility. So here is the bottom line: if it is unclear how an exception should be handled, let it propagate gracefully. There are many cases where a clear place exists to handle the exception internally, but there are many other cases where exposing the exception is better. So before you opt into handling the exception, just give it a second thought. A good rule of thumb is to only insist on handling exceptions when you are interacting directly with the end-user. The implementation of Ruby, and, even more so, Rails, follows some naming conventions, such as distinguishing between method_names and method_names! with a “bang.” In Ruby, the bang indicates that the method will alter the object that invoked it, and in Rails, it means that the method will raise an exception if it fails to execute the expected behavior. Try to respect the same convention, especially if you are going to open-source your library. If we were to write a new method! with a bang in a Rails application, we must take these conventions into account. There is nothing forcing us to raise an exception when this method fails, but by deviating from the convention, this method may mislead programmers into believing they will be given the chance to handle exceptions themselves, when, in fact, they will not. Another Ruby convention, attributed to Jim Weirich, is to use fail to indicate method failure, and only to use raise if you are re-raising the exception. An aside, because I use exceptions to indicate failures, I almost always use the fail keyword rather than the raise keyword in Ruby. Fail and raise are synonyms so there is no difference except that fail more clearly communicates that the method has failed. The only time I use raise is when I am catching an exception and re-raising it, because here I’m not failing, but explicitly and purposefully raising an exception. This is a stylistic issue I follow, but I doubt many other people do. Many other language communities have adopted conventions like these around how exceptions are treated, and ignoring these conventions will damage the readability and maintainability of our code. This practice doesn’t solely apply to exceptions, of course, but if there’s one thing that should always be logged, it’s an exception. Logging is extremely important (important enough for Ruby to ship a logger with its standard version). It’s the diary of our applications, and even more important than keeping a record of how our applications succeed, is logging how and when they fail. There is no shortage of logging libraries or log-based services and design patterns. It’s critical to keep track of our exceptions so we can review what happened and investigate if something doesn’t look right. Proper log messages can point developers directly to the cause of a problem, saving them immeasurable time. 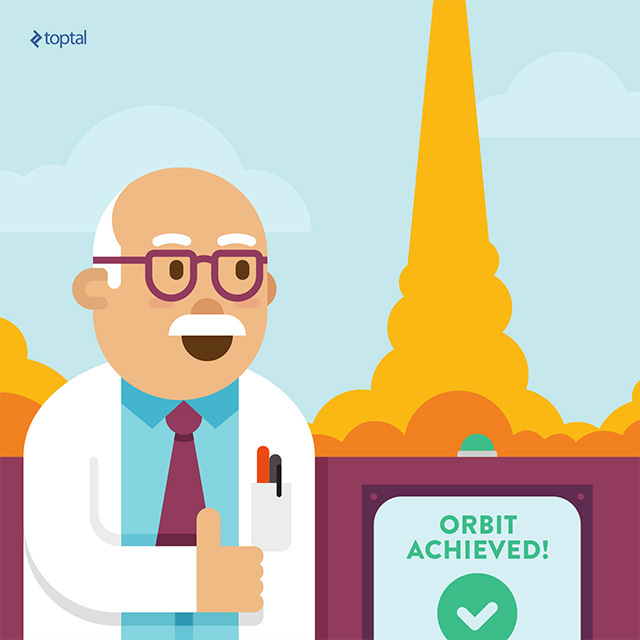 Clean exception handling will send your code quality to the moon! Exceptions are a fundamental part of every programming language. They are special and extremely powerful, and we must leverage their power to elevate the quality of our code instead of exhausting ourselves fighting with them. 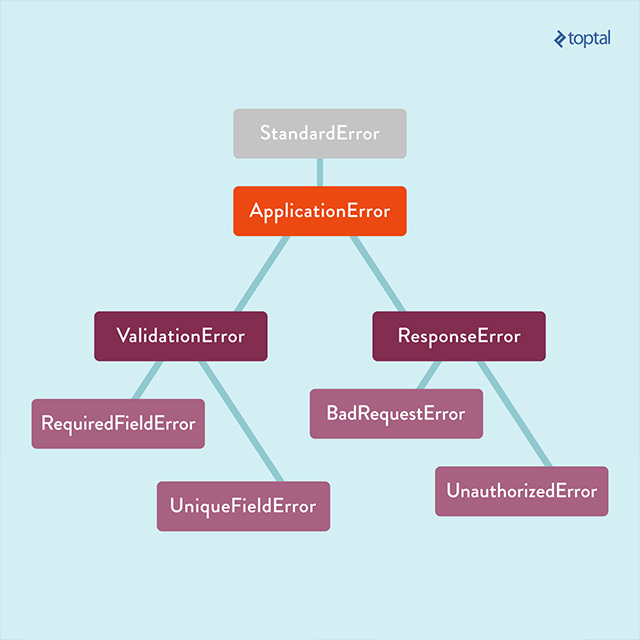 In this article, we dived into some good practices for structuring our exception trees and how it can be beneficial for readability and quality to logically structure them. We looked at different approaches for handling exceptions, either in one place or on multiple levels. We saw that it’s bad to “catch ‘em all”, and that it’s ok to let them float around and bubble up. We looked at where to handle exceptions in a DRY manner, and learned that we are not obligated to handle them when or where they first arise. We discussed when exactly it is a good idea to handle them, when it’s a bad idea, and why, when in doubt, it’s a good idea to let them propagate. Finally, we discussed other points that can help maximize the usefulness of exceptions, such as following conventions and logging everything. With these basic guidelines, we can feel much more comfortable and confident dealing with error cases in our code, and making our exceptions truly exceptional! Special thank to Avdi Grimm and his awesome talk Exceptional Ruby, which helped a lot in the making of this article. Ahmed is a back-end (API) developer who loves building useful and fun tools. He also has experience as a web developer and emphasizes writing clean code that adheres to the best coding practices. What I love about this article: it brings in and follows examples, the part of "resist the urge to handle in the immediate next block" and the stress on "single responsibility". Those I couldn't have written better so I won't expand on them. Some facts I don't like, in order of how much they bug me. The first one, the article is too optimistic and does not seem to discourage the use of exception handling for normal, expectable system statuses which in my opinion constitute a very poor but widely adopted practice and a very expensive one. Second, there's no explanation of the stack unwinding mechanics, which is the reason why exception handling exists. Third, very much coupled with number 2 is, there is a wild assertion that Exceptions and OOP are connatural. This is clearly not correct. SEH is used in non-OOP languages such as C and accounts for the stability of many a current operating systems (including Linux, Windows and OSX which are mostly coded in C). Fourth, related to #2, there should be some explanation about exceptions that are particularly difficult to handle: stack overflow and insufficient memory. Both exception types are enlightening and how different platforms decide to handle them, make a huge difference. Hope this helps maybe in creating a follow up post? Hey, very nice article! This time as toptal project I have done python SDK and exception handling is really important there. I construct exception tree with at least two base errors: ClientError (when interacting with backend by API), ParseError (when parsing custom language). I should note that exceptions are derived from business requirements/perspectives, so raising and handling them appropriately makes your (or your client's) business succeed. Nice article and it is close of the "fail fist" philosophy. Any advice on how to discover what exceptions can be raised by a method? As you may know Ruby documentation really lacks proper documentation about which exceptions can be raised by whatever method. Very nice and helpful, thank you for for this amazing blog keep posting. You talk a lot about fear of Exceptions. I have never heard anyone who has this kind of attitude toward them, it's just your personal view. Dear Ahmed AbdelRazzak, Good afternoon! How are you? My name is Alex Lattaro and I'm Community Manager iMasters. iMasters is one of the largest portals facing developers in Brazil. www.imasters.com.br I just read your article and would like to republishes it in our portal. Of course all copyright will be yours. We only translate and make available their contacts to readers. Are you interested in this partnership? If you are interested, my email contact is: [email protected] I thank the attention. Thank you. Regards. Excellent write-up. Definitely one of the better ones that I have seen on error-handling, which seems like a topic not enough people are writing about. In my opinion you should avoid exceptions as much as you can, the first question that should come to mind must be, is this really an exception?, or do I need to throw an exception here?, as the definition says <u> anomalous or exceptional conditions requiring special processing </u> you should think what does it means, IMHO if the error you get is part of your domain i.e <u>authentication fails or expires, or if the stock doesn’t exist</u> then you should not have exceptions at all. On the other hand, if you really need the use of exceptions (it is unlikely), then you can take advantage of all these tips that the author mention.